Is the fear of dying houseplants causing you to miss out on the joy, warmth and enhanced quality of life indoors? Do you avoid having live greenery in your home for fear they will wither away soon after you get them? Get the right information and advice to solve your plant problems and keep the wonder and beauty in your home. Here you will learn how to choose plants that are suitable for the indoor environment. Plus, get ways and tips to create the best conditions for them to prosper. You will learn how to cater to their individual needs because each species is different. You will also learn how to practice preventive medicine to make them less vulnerable to pests and diseases and the importance of regularly refreshing your plants. Learn what you must do to energize your plants for the spring growing season. It is a time when they wake up from their long winter nap. Get tips to perk up your plants with proper lighting, watering and fertilizing. 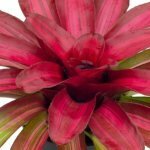 Plus, meet the challenge of winter houseplant care by offsetting the drying effects of indoor heating with proper watering and humidified air. You will discover there are numerous benefits for having greenery in the house. Foliage and flowers improve the air quality by filtering out toxins and adding oxygen to the air we breathe. And oxygen is a life-giving component that we need to burn food and release energy. You can also save money by doing budget-friendly decorating with foliage such as the croton and gerbera daisies to add color and interest to a dull room without the expense and commitment of painting. And you can create a beautiful focal point in an entranceway to welcome guests. The green splendor can also help you beat the winter blues and lift your spirit during the cold, short, dark, dreary days of winter. You can experience the ease and pleasure of learning how to plant your herb garden indoors. You will have tasty, aromatic herbs growing right in your kitchen--a great asset to any home. They can be used for culinary purposes to enhance the flavor of stews, soups, meat dishes, dressings, and teas--an absolute necessity for the cook. For medicinal purposes, herbs can be used to calm nerves and promote sleep, aid digestion, and ease coughs and colds. 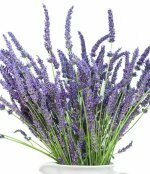 Scented herbs, which are valued for their fragrances, can be used in bouquets, wreaths, and potpourri--a way to decorate your home for the senses. You can grow them in small pots on windowsills or in hanging baskets. Just think of all the money you will save compared to buying them from the store! Then you, too, can have vibrant healthy houseplants that are not only delightful to look at, but also hardworking to add life and beauty to your place--making it warm and inviting. So now is the time to start indoor gardening!